People often ask about the connection between Foxglove and Cambodia. How did it start? Is it luck or strategy or heart that drew us to work in a country only 8 hours flying time from Perth but a world away in opportunity and development? It actually started with my mother, Lesley Hewett. My mum was born in India, coming to Australia after Partition. She arrived by boat with her mother and sister, leaving her father behind to continue working for the Statesman paper in New Delhi. Life was very difficult as they tried to survive in a new country; new arrivals without income living in a rented room in inner-city Perth. Gradually, she adjusted to the culture and expectations, having a quick mind and a wonderful way with people. Mum has so many gifts but most of all, she is passionate about helping others. She would gladly have expanded her efforts overseas but married my dad, an Australian larrikin and entrepreneur, who took her life in a very different direction. They ran businesses – with great success and some spectacular failures – I feel very proud of both. Until dad died suddenly as a result of a heart attack. He was only 58 and my mum, 55. It was a devastating blow for mum to lose him as he was the love and centre of her life. Much of mum’s living revolved around dad and his next big idea! That was 1993 and for a few years, mum lost her will and her way. Then came the opportunity to travel with my brother to Cambodia in 1995. Only a few years after Cambodia was ‘opened’ to the West. She quickly saw that she could make a contribution. And out of the ashes, emerged a warrior for the poor and defenceless. She quickly partnered with one organisation, securing land and funding to build a children’s home about 90 minutes from Phnom Penh. She helped identify children who were orphaned or vulnerable to abuse, setting in place systems for them to be cared for, protected and educated. For more than a decade, mum worked with charities operating in Phnom Penh and the rural areas until she had an idea to start an organisation of her own. She had connected with a number of capable and passionate Khmer people and wanted to see how she could support local people in their initiatives. 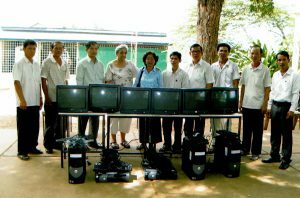 So, in 2008, armed with a small group of followers, mum established Focus Cambodia Inc as a registered Australian charity. Over four years, she accomplished incredible outcomes, including raising over $500,000. She did this by developing funding partnerships with schools, businesses and individual community fundraisers. Some of whom continue to support Foxglove many years later. She also purchased thousands of dollars of products from local makers in Cambodia to sell in markets and shopping centres across Perth with the support of her fabulous sales team. This was new in its day and formed a primary fundraising source for Focus. And support many local leaders with trust, development opportunities and vision. 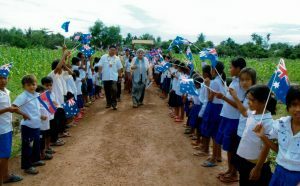 Mum’s introduction and relationship with schools in Cambodia facilitated her working with the Education Department in Western Australia to establish the Angkor Project. 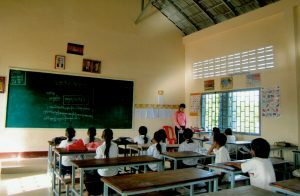 This saw many primary schools in WA partnering with schools in Cambodia to provide resources, infrastructure and expertise. This project continues today under new leadership but with the same purpose and networks. 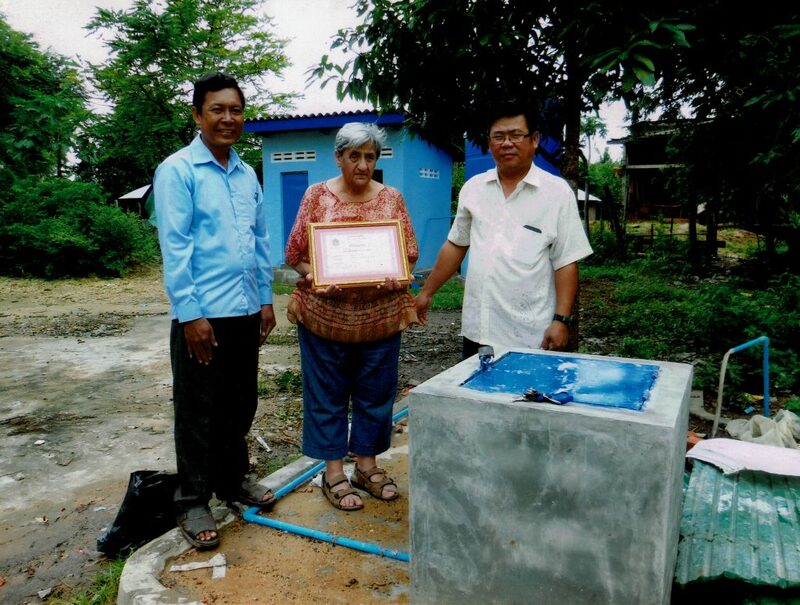 For her work with the Angkor Project, Lesley was awarded the Paul Harris Fellow Award for ‘service above self’, the highest award for an individual Rotarian. 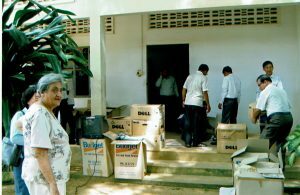 By 2012, mum was tiring of the fundraising and travel to Cambodia. Then 74 years of age, she remained passionate about supporting the initiatives but needed someone else to lead the team. So she approached me. Little did she know that my growing passion for overseas development work was steering me towards starting my own organisation but I didn’t see the work being limited to one country. So, never anticipated taking over Focus Cambodia. But then a new idea came to light. What if a new charity could emerge? What if we could retain the basic mission of the organisation but expand the countries beyond Cambodia? In 2012, the Focus Cambodia Board voted for this change of direction. They unanimously supported my appointment as the incoming Executive Director with the freedom to develop something new. Within 2 years we had changed the name of the organisation to the Foxglove Project. We had identified the emphasis on women and girls to be our best strategy for effective development. We had started our new project in Rwanda and soon followed with India. The new was on the rise. But we have never forgotten where we came from. We continue to call the work we do in Cambodia, Focus Cambodia. We continue to partner with many of those same Khmer workers and leaders who we met many years ago. For nothing is ever lost. It may change form. It may change location. But people and relationships and hope for Cambodia remain at the centre of Foxglove, and will do so across its lifetime.